Oklahoma State University Homecoming Parade spectators and first responders shot into action helping victims after a woman accelerated her car to 59 MPH on a crowded city street. Crashing into unsuspecting bystanders, she was charged with killing four people and injuring approximately 50 others. This is the story of what happened before, during and after the event in Stillwater, Oklahoma. This book was written by D. Scott Petty, a Stillwater resident. 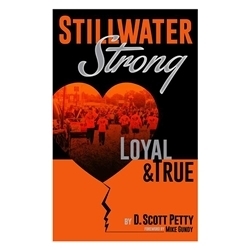 A portion of the proceeds from the sale of the books will help to fund the Stillwater Strong Memorial in Stillwater, OK.